Snazzy laser etched wood case. 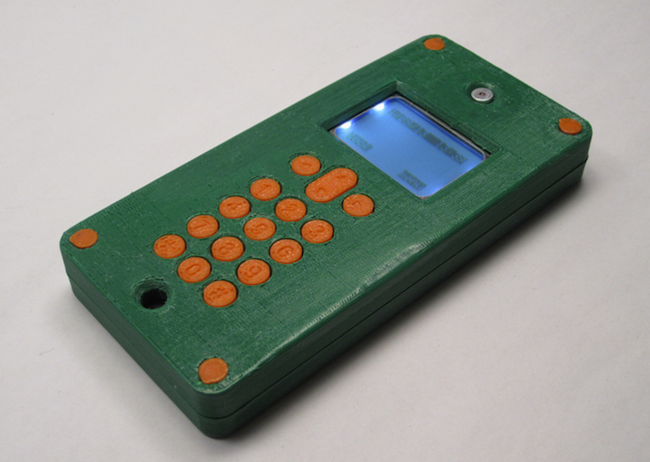 David Mellis at the High-Low Tech group at the MIT Media Lab built a DIY Cellphone, making a custom circuit-board and laser-cutting his own wooden case. The files are hosted on GitHub in case you'd like to try your hand at it. Depending on how tinfoil hat you wanna be you, even if you do have to get the GSM radio, know what's in this thing both hardware and software wise thanks to the source being open. No potential back doors, no manufacturer bloat. Sure $150 seems expensive when you can pick up a dump phone for next to nothing with a prepaid card, but the point is this is hardware you have absolute control over. Want to add features not in this design? Get together with a few buddies, or random internet people, and hash something out. Want to try putting this and a raspberry pi together? Go for it! Think the raspberry pi is too mainstream and want to go with something else? Do that instead! The point isn't this being the cheapest option or the most feature rich as is (the software can't even do SMS yet!) The point is hardware that is Yours. You own it. You can audit and change anything without getting threatened by some DMCA clause and so long as carriers exist that adhere to standards the radio operates under it'll work, and even if that changes you could (at least in theory) swap out the radio for whatever future standard exists and keep rocking on. OK probably not nearly that simple and I'm definitely wearing rose tinted glasses here, but c'mon when we're hearing about how devices are being locked down and we the consumer are starting to collectively realize just how few rights we actually have over the things we 'own' it's a nice breath of fresh air. Sure other people have done the roll your own cellphone thing and others are calling this guy out on what's effectively a quirky highschool project when it's from MIT but the key difference here, the thing that separates this from the random hooting voices online, is that this guy put their source up for anyone to look at, use, or do whatever with. Plus unlike whoever commented that they 'just needed a couple chips and some assembly' your 'average' hardware nut could in theory create most of this. 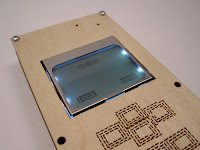 Sure the laser etching is a bit gonzo but you can send off for something like that, or go with a 3d printed case (cannibalizing the rubber keys from something else in the process if you like) and you can go to somewhere like adafruit or other hardware tinkerer friendly places to get things like the tiny screen or even the radio itself. I find this interesting and noteworthy. I'd call it the Un-Phone to go with T-Mobile's 'Uncarrier' concept but... Wait that might actually work.